Warm delicious cookies & milk. Who doesn’t want to try some of Harris’ Chocolate Chip Cookies?! 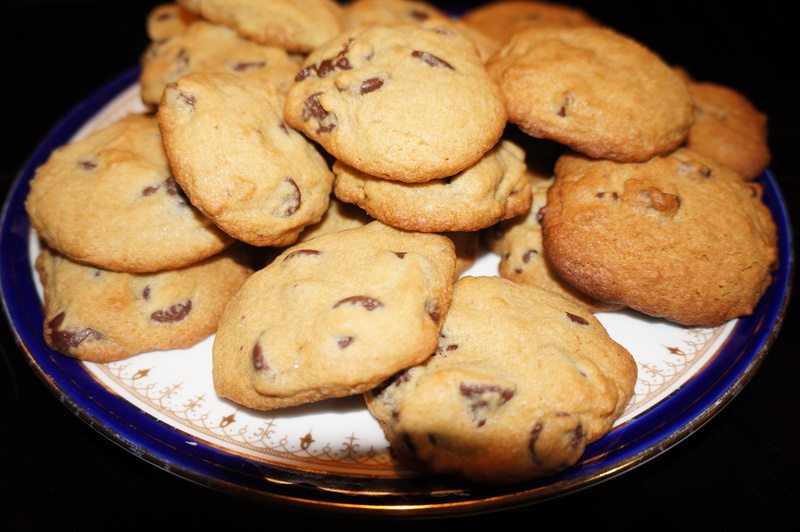 Harris recommends using Ghirardelli Double Chocolate Chips when making his recipe! Enjoy! In a large bowl, whisk together flour, baking soda, and salt, then set aside. In a large mixing bowl, cream butter, brown sugar, and white sugar at medium high speed until very light and creamy. This will take about 5 minutes. At slow speed, add eggs one at a time until just incorporated. Add vanilla. If using a stand-up mixer with a very slow speed setting gradually add dry ingredients until just incorporated. If you do not have a stand up mixer, incorporate dry and wet ingredients with a wooden spoon. Stir in the chocolate chips. Drop walnut size mounds of cookie dough onto ungreased cookie sheet and bake at 375 degrees for 10 to 11 minutes.